Sir Martin Sorrell, the chief executive of the world’s biggest advertising company WPP is leaving the company he built up over three decades. Sorrell resigned following allegations of personal misconduct, leading t shares in the advertising giant falling by 5% in early trading on Monday after the businessman’s decision was announced over the weekend. Sir Martin, who has built up the company over 32 years, resigned over the weekend following claims related to the alleged misuse of company assets. He has denied any wrongdoing after the allegations surfaced earlier this month, but said he understood the company had to investigate it. “That is why I have decided that in your interest, in the interest of our clients, in the interest of all share owners, both big and small, and in the interest of all our other stakeholders, it is best for me to step aside. The 73-year-old will be treated as having retired from the company, meaning he will be entitled to a maximum 1.65 million shares under long-term award plans dependent on WPP’s performance. At the share price at the start of trading on Monday, they were worth just under £20m. Sir Martin already owns shares in WPP worth more than £200m‎, while his annual remuneration packages – he earned £70m two years ago – have made him a target for critics of lavish boardroom pay. Sir Martin bought the small Kent-based firm in 1985 and turned it into the world’s largest marketing services group. Chairman Roberto Quarta will become executive chairman until a new chief executive has been appointed. Quarta previously worked at Saatchi & Saatchi, and was knighted in the Queen’s New Year honours list in 2000. The marketing services industries are being buffeted by accelerating trends such as zero-based budgeting, which has led to many consumer-facing companies abandoning increases in marketing spending. WPP has seen its ‎shares fall by nearly a third during the last 12 months, although it still has a market capitalisation of more than £15bn. Julie Langley partner, Results International said: “Any external candidate to succeed Sir Martin Sorrell as CEO is unlikely to be available to start straight away – at this level many are working to around six months plus notice. That’s a significant hiatus at such a challenging time in the industry. But saying that, the interim leaders are unlikely to want to make fundamental changes to the business unless there is restructuring already underway that the markets are not aware of. “Sir Martin was at the helm of WPP for over 30 years, the longest-serving CEO of any FTSE 100 company. 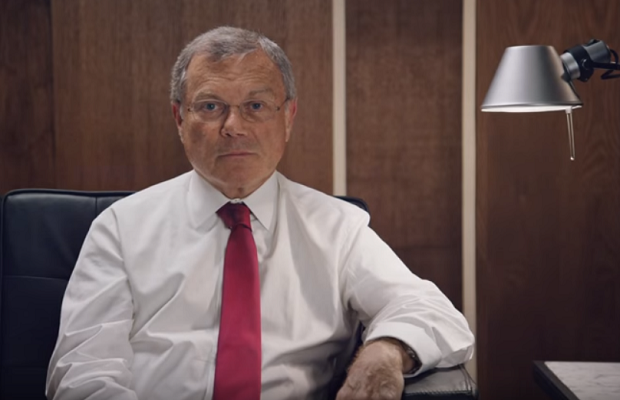 No incoming CEO is going to want to keep the status quo, and will be under very real pressure to make WPP fit for purpose to tackle the challenges facing it and the ad industry as a whole. “And while it’s only natural to be speculating as to the future of WPP, it’s no easy feat to restructure a holding company as big and as complex as WPP. Sir Martin had been working to rationalise the business – last autumn he brought together five of its branding and design firms and merged several media agencies within GroupM. And even though there might be growing pressure to spin off some of the businesses within WPP, that’s not necessarily going to address some of the core challenges, including that of the management consultancies such as Deloitte and Accenture Interactive who are increasingly taking business from WPP and its competitors. “Those currently doing well in adland are the nimble, independent agencies. Yet WPP can’t behave like an independent overnight. It’s an incredibly complex structure with a significant number of acquired companies that are working through their earn out at any given time. Trying to restructure a business like WPP when you are still managing post merger integrations and earn outs would be difficult and expensive.